This course takes you through the fundamentals of generator theory. It covers the factors that affect the induction of current and explains the operation of AC, 3-phase generators. 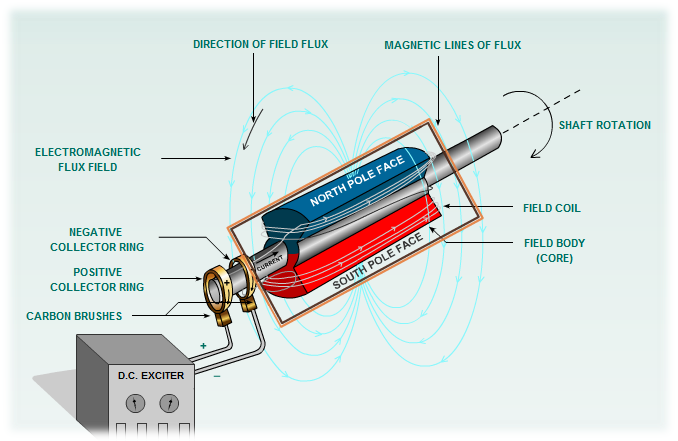 Basics of Electromagnetism teaches you about the characteristics of magnetic flux and the factors affecting current induced in a conductor. Components and Operation of an AC Generator teaches you about the major components and operation of an AC, 3-phase synchronous generator. It also explains the tabular sequence winding diagram.